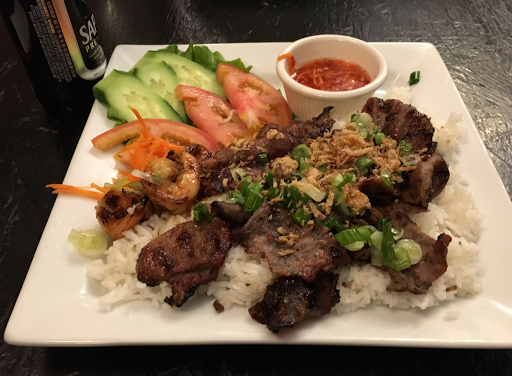 Dinner at Saigon Avenue, which is not on Saigon Avenue but on the south side of Lemon a bit east of Myrtle. Got the Classic Pork Trio (pork, shrimp and egg roll) for $11.99 and a beer for $5. Egg roll not shown because it hadn't arrived yet. Food was tasty.